PS. Sorry for the lousy photos. I made these at night and the lighting was bad. I was going to a girlfriend's mini housewarming the next day, I had decided to make some desserts since she was cooking. 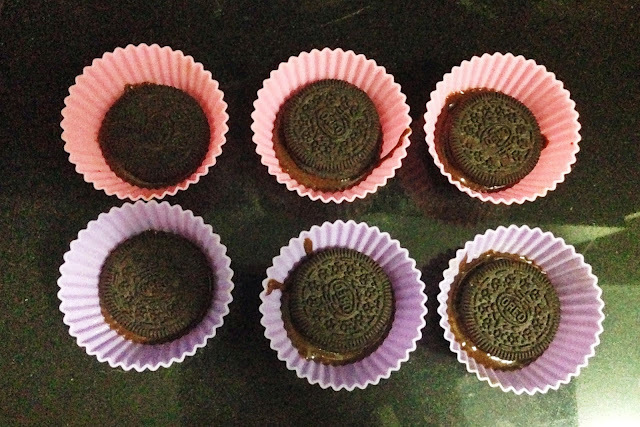 With not alot of ingredients at home, I decided to make Nutella Oreo Brownies. I had made Nutella Brownies the other time, this time, I added in Oreo cookie. To be honest, I love it. 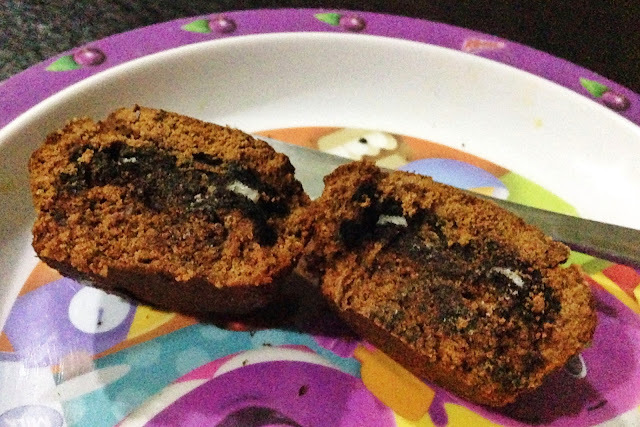 Nutella Oreo Brownie taste simply delicious. I believe young kids would love this. And maybe with a scoop of vanilla ice cream, it would taste even better. The brownie taste nicer when it's freshly out from the oven. 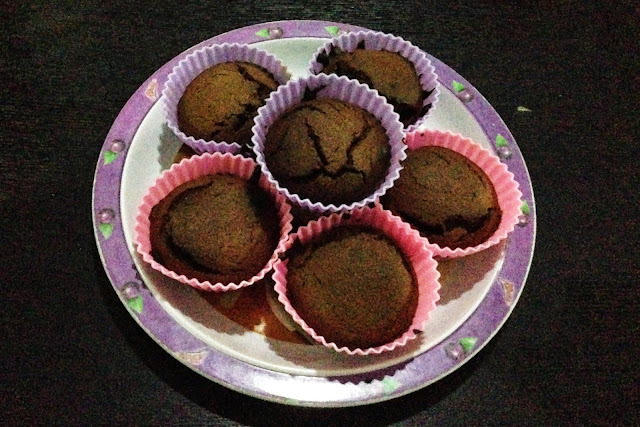 It still taste nice over night, but the freshly baked crunchiness and warmth adds points to the taste. The oreo cookie that is inside when cut opened. 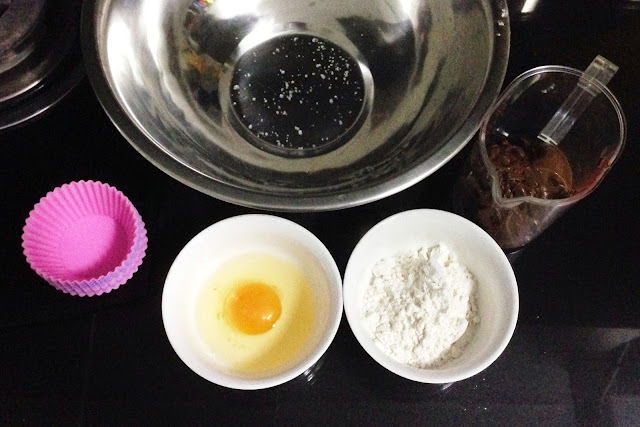 In a medium bowl, mix together the Nutella, eggs, flour and salt. 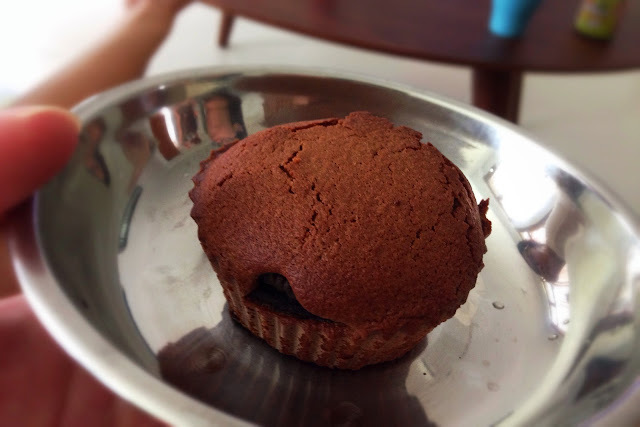 Scoop a small tablespoon of the Nutella mixture into each cupcake liner. Divide the remaining Nutella mixture among the 6 liners.